Acta Mater. 61, 7924 (2013). effect in the Sm-Fe(Ta)-N system. Phys. Status Solidi A 205, 1465 (2008). Self-assembled ferromagnetic and superparamagnetic structures of Fe block copolymers hybrids. Superlattices Microstr. 44 (4-5), 457 (2008). 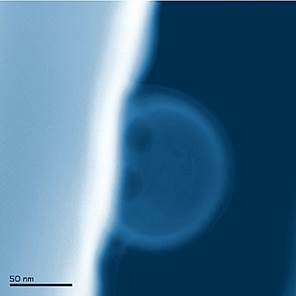 Growth of crystalline/amorphous biphase Sm-Fe-Ta-N magnetic nanodroplets. Appl. Surf. Sci. 254, 1027 (2007). Nanocrystalline Sm-Fe composites fabricated by pulse laser deposition at 157 nm. Appl. Surf Sci. 248 (1-4), 349 (2005). Fabrication of Magnetic SmFe Films by Pulsed Laser Deposition at 157 nm. IEEE transactions on Magnetism 40(4), 2943 (2004).